On Saturday, November 14, the Forensics Team competed at the Midlothian Speech and Debate Forensics Invitational. For many of their members, it was their first competition. Students who placed in the competition are senior Haley Jobe in third place for Prose, sophomore Isabelle Mayor-Mora in fifth place for Poetry, sophomore Skylar Petry in sixth place for Impromptu (the largest category of the competition), freshmen Lindsay Stevens in fifth place for Prose, sophomore Isabelle Carter in third place for Storytelling, and Isabelle Carter and Isabelle Mayor-Mora placed in sixth as a team for Duo Improvisation. Their coach is English teacher Jessica Sanchez. Their next competition will be in Hopewell this weekend. If you would like more information about the team or are interested in joining, you can contact Ms. Sanchez. Correction: An earlier version of this article stated that the Hopewell Invitational was in January 2016. This entry was posted in Arts at James River, Club News and tagged Forensics Club. Tryout weeks are always full of pressure, thrill, and anticipation. 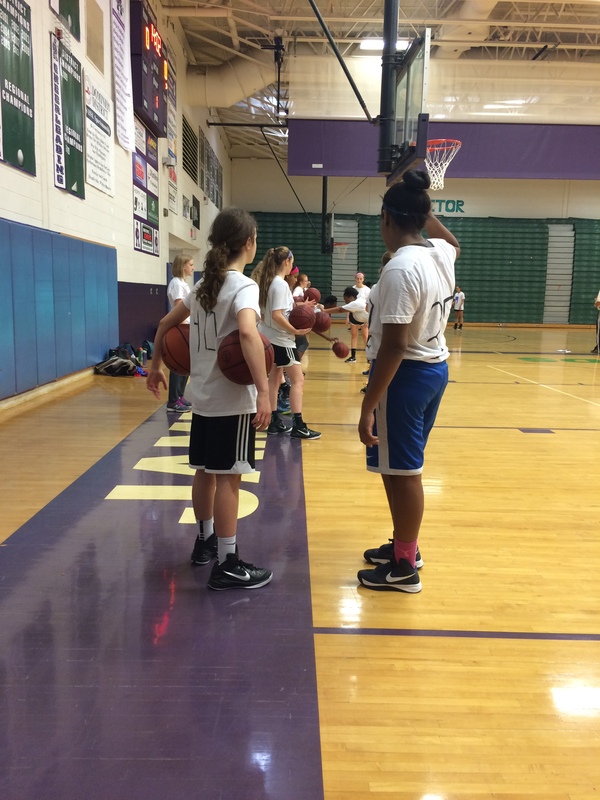 From November 9th through the 12th, students gave their best performance in hopes of becoming a part of one of the James River sports teams. 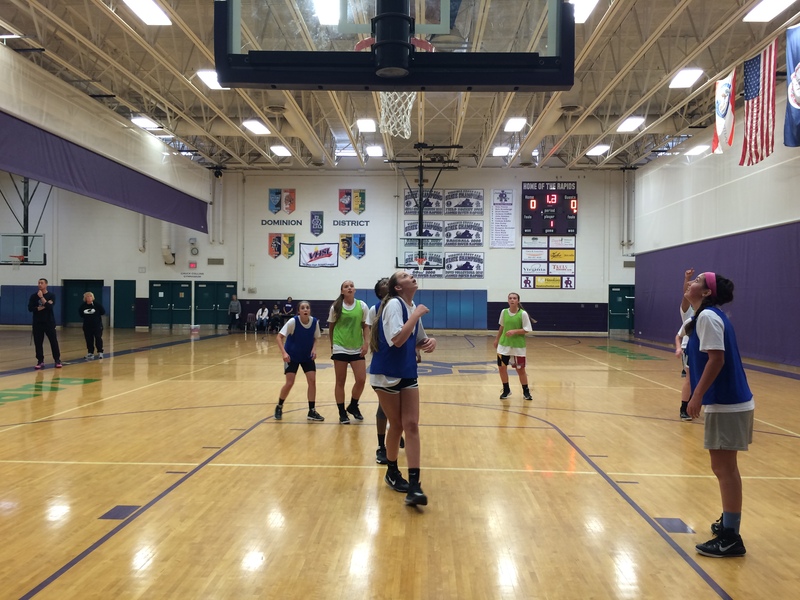 This week, tryouts included cheerleading, and basketball for both boys and girls. Check out our photo gallery below! 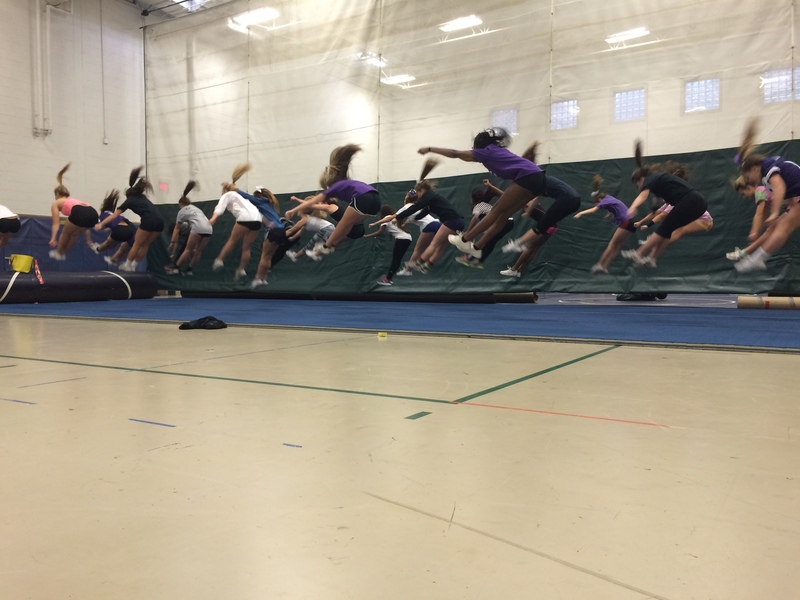 On the first day of tryouts, the cheerleaders practice their basketball cheers and chants. The cheerleaders display their best pikes to impress the coaches in order to obtain a spot on the team. 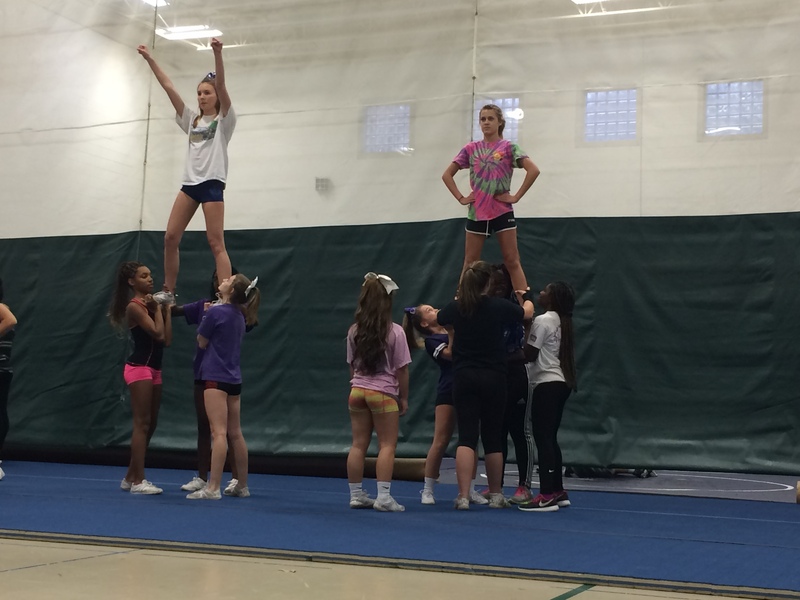 On day two of tryouts, cheerleaders showed the coaches their stunts. 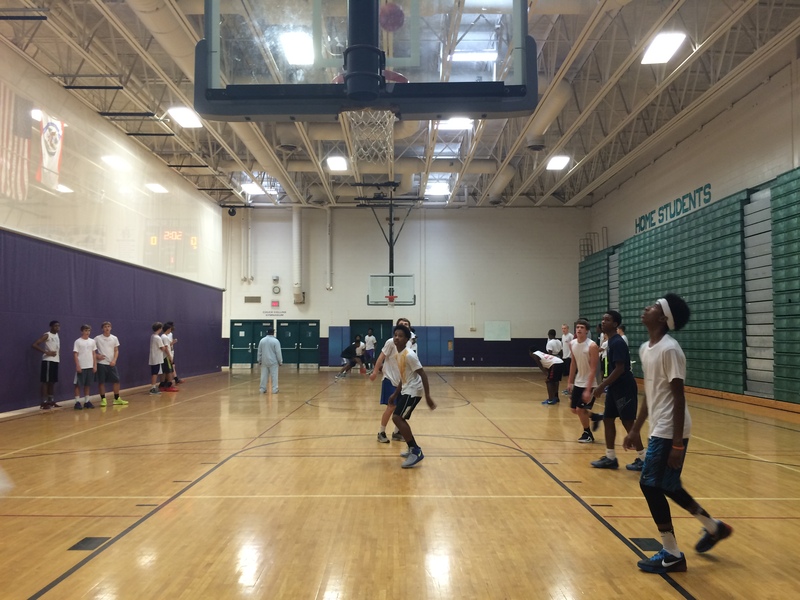 Freshmen boys wait to see if they can make a rebound or if the ball will fall through the hoop. 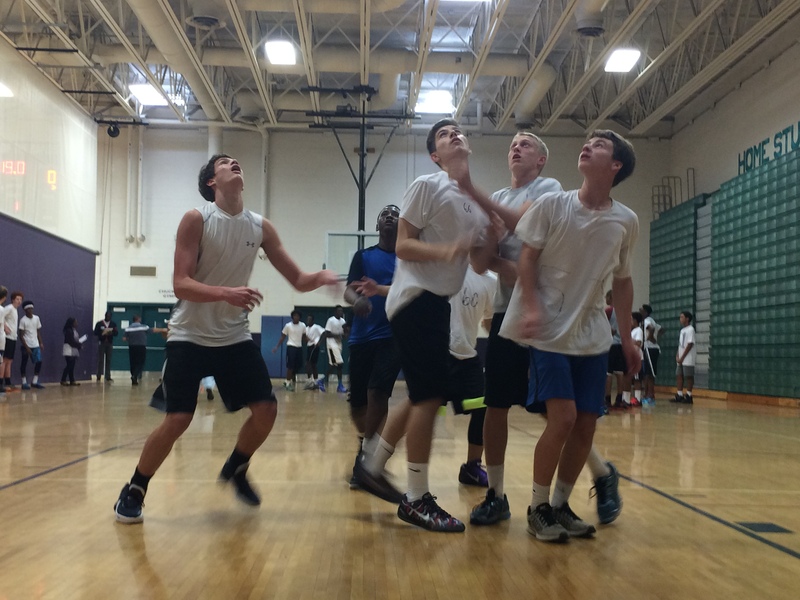 The scrimmaging continues and the boys fight to make the team. 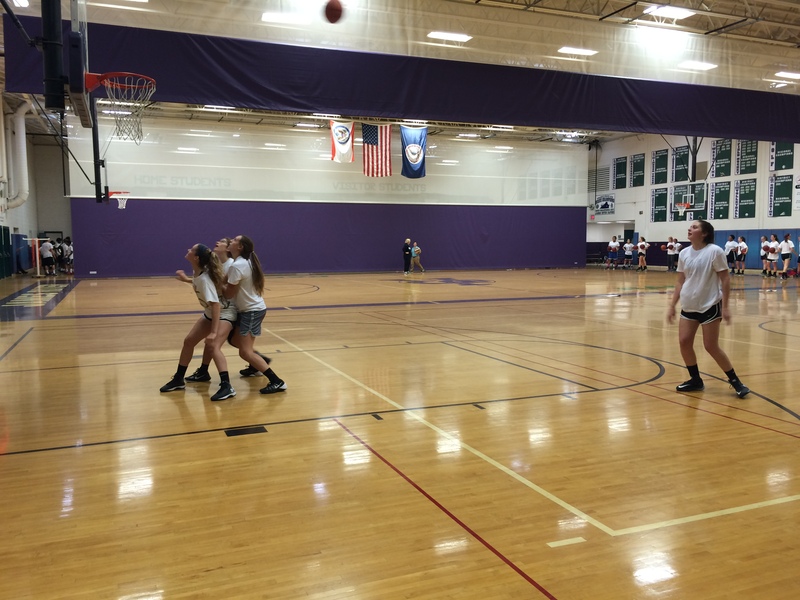 In this drill, the girls practice rebounding by boxing out the other two players. The players await the coaches orders to tell them what drill is next. With pennies on, the scrimmage begins to heat up between these determined players. One of the more challenging drills that the girls had to perform was controlling two balls while having pressure put on them by a partner. In order to wind down their muscles and prevent injuries, these girl basketball players stretch their muscles after tryouts are over. This entry was posted in Rapid Life, Sports Teams and tagged Boys Basketball, Cheerleading, Girls Basketball, Rapid Life. The month of November our community is coming together to support National Prematurity Awareness month by helping out Bon Secours St. Francis NICU and donating money during lunch. NICU stands for Neonatal Intensive Care Unit and it’s where they help babies that are premature or are ill.
NICU Helping Hands is a fundraiser that helps out parents who need supplies for their babies and these things are bought from a wish list that the nurses suggest. This fundraiser is Goulding’s Leadership Capstone project and she has volunteers help her out. “Volunteers are coming from Leadership, National Honor Society and Beta Club,” Goulding said. This fundraiser raises money to buy supplies for the babies once the event ends. The Baby Bottle Drive will take place during lunch which is when students can go and give money to support NICU. “Volunteers will be going around the school during lunch and collecting spare change in baby bottles,” Goulding said. This fundraiser will last until Tuesday, November 24th.Go out and help out the NICU by donating money during lunch on Tuesdays and Thursdays. This entry was posted in Leadership Program, Rapid Life and tagged Capstones, Rapid Life. While fall sports are coming to a close, winter sports, including wrestling, are starting up just in time for the cold winter weather. Weigh-ins were conducted Monday to find out what weight class each of the team members would be competing in. Practice officially started on Tuesday the 10th from two to four in the auxiliary gym and the weight room. Wrestling is an extremely competitive and physically demanding sport; the athletes must maintain a certain weight and stay in good shape. “I think wrestling is the ultimate individual sport, it teaches you to grow up very quickly and you learn a lot about yourself in the process,” wrestling coach James Riley said. The team warms up in the weight room doing exercises like push-ups and jumping jacks before they get started on their weight lifting circuits. Coach Riley coaches football and track along with wrestling. Football is more of a team sport while track and wrestling focuses more on the individual athlete. “My favorite thing about coaching wrestling is watching the athletes get better,” Riley said. There are no female wrestlers on the team this year, but all women are welcome. “I have coached female wrestlers in the past. Generally if you have one girl, their friends will do it too, so you will have a couple of girls together, but they all work together, boys and girls are treated the same in this room,” Riley said. Coach Riley attended high school here at James River and graduated in 2001. “I wrestled for James River when I went to high school, I was a two time district champion, three time regional placer, and two time state qualifier,” Riley said. Be sure to check out the wrestling team’s matches this December! The wrestlers train by matching off with a team member roughly on the same skill level as each other. Three new clubs have been established this year at James River: the Swimming Club, the Trail Running Club, and the TED Ed Club. The Swimming Club is sponsored by Swim Chesterfield. The Trail Running Club is sponsored by English teacher Christopher Calfee and Social Studies teacher Alex Addison. The TED Ed Club is sponsored by science teacher Timothy Couillard. Even though these clubs are new, they are excited for swimming, running, and learning. Listen to announcements and check online at https://sites.google.com/a/ccpsnet.net/jrhs/home for future meetings in these clubs and others. This entry was posted in Club News and tagged Swim Club, TED ED Club, Trail Running Club.